Gujarati calendar 2018 September showing festivals, holidays and tithi. 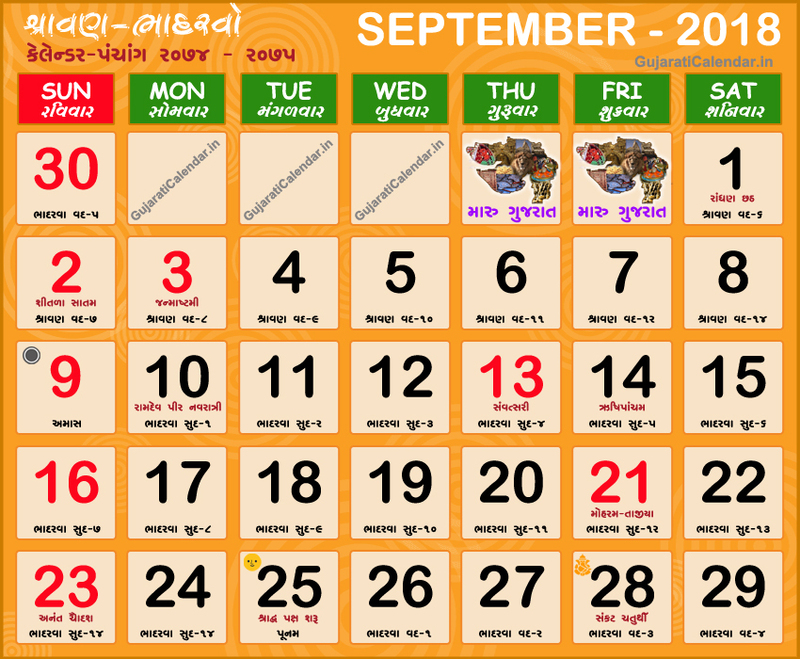 September corresponds to the Gujarati months of Shravan Bhadarvo. Gujarati month Shravan and Bhadarvo is the months of Varsha or Monsoon. In Gujarati calendar these months are known as chomasu. September 2018 is a bhadarvo mahino in vikram samvat 2074.